This is a small family business that celebrates its 14 year anniversary in 2018. Our aim is to provide clients with a first class personal service. Repair and Maintenance Work - We repair old buildings using only traditional building materials and have an expertise in the use of lime for mortar repointing and rendering. We specialise in repairs to cob, brick, flint and stone. Old Property Consultation and Advice - We can help you with your repair problems by offering consultation and advice on conservation issues, whether as an owner or prospective owner of an old property. Building Projects - We carry out traditional building works to older, often listed properties from small extensions to full house refurbishments. We work in Wiltshire and the neighbouring counties on old buildings and structures. 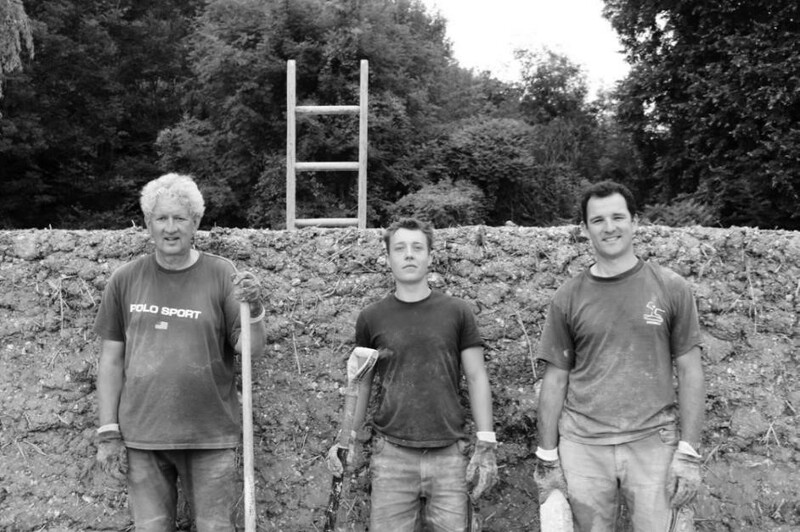 Past projects have included the repair of an historic cob walled garden in Salisbury. The property is grade 2 listed. This was a chalk cob wall and the repair techniques we used were covered by Marianne Suhr of The Society for the Protection of Ancient Buildings (SPAB) in her television programme ‘Project Restoration’. Another project, again a grade 2 listed building, is a classic Wiltshire brick, flint and chalk house. This needed repair to both gables, replacement bricks and chalk and repointing with lime mortar rather than cement. Do have a look at our Repair and Maintenance pages to see in more detail what we do, please also see our Case Studies where you will find examples of our work. Do Contact Us if you think we can help.